Every girl deserves to look flawless and beautiful. Get the perfect look you desire to flaunt with Qraa`s new Malai Cleanser. It gives you the ability to use makeup anytime you want without worrying about the aftereffects of putting on heavy makeup. This malai cleanser is a special formula that mixes together Malai (milk cream), Sandalwood, Honey and Rose oil. Goodness of Honey helps keep pimples at bay and Malai keeps it silky smooth. 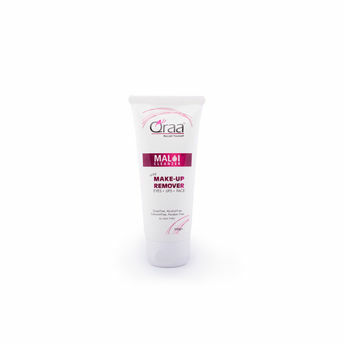 It is a malai based makeup remover by Qraa to help you remove all signs of makeup and impurities. With this makeup remover in your beauty collection, you are free to experiment with different shades and varieties of makeup. Explore the entire range of Makeup Remover available on Nykaa. Shop more Qraa products here.You can browse through the complete world of Qraa Makeup Remover .